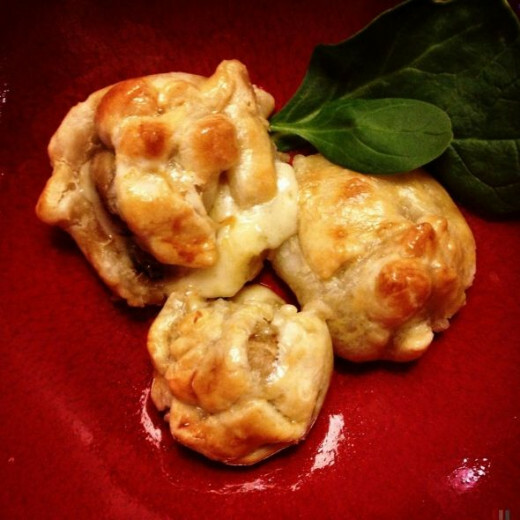 These vegetarian parcels are delicious little individual pies. 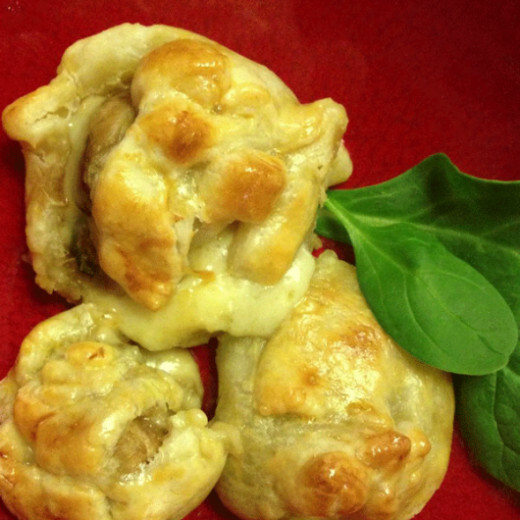 Cooked mushroom, zucchini and cheese are wrapped in pastry and baked until the crust is golden and the cheese melts. These make a lovely dish for entertaining but they're just as good for a vegetarian family dinner. I serve them with a fruity salad and the whole dish is very easy to make. 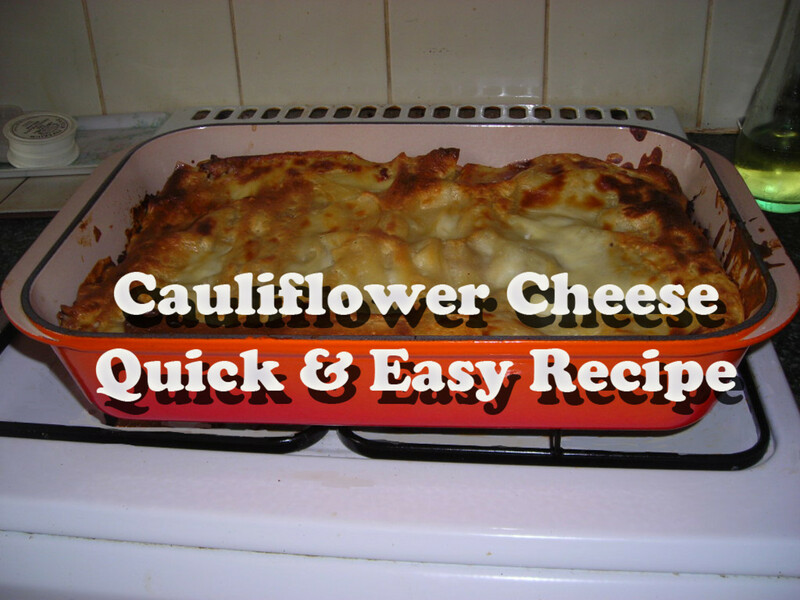 As is often the case with our dinners, this recipe was devised because something needed to be used up! 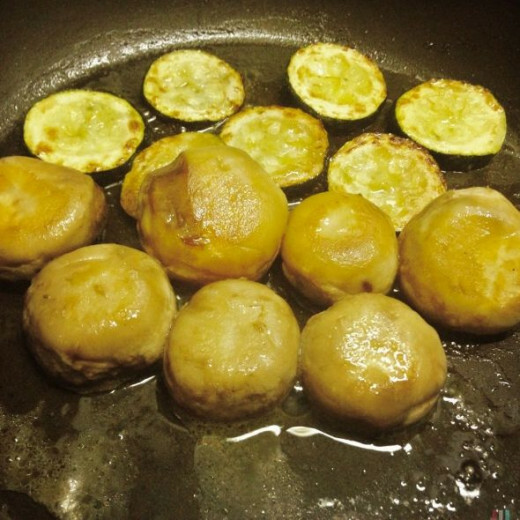 Rummaging in the fridge, I found a handful of mushrooms, half a zucchini, a little cheese and an egg. Because I'm often faced with this 'aaargh, what can I make?' situation, I tend to have frozen pastry in stock and that's a wonderful ingredient for making dinner from a few scant bits and pieces. I find that when these are served with a salad, they are a meal in themselves but they are also ideal as a starter / appetizer too. 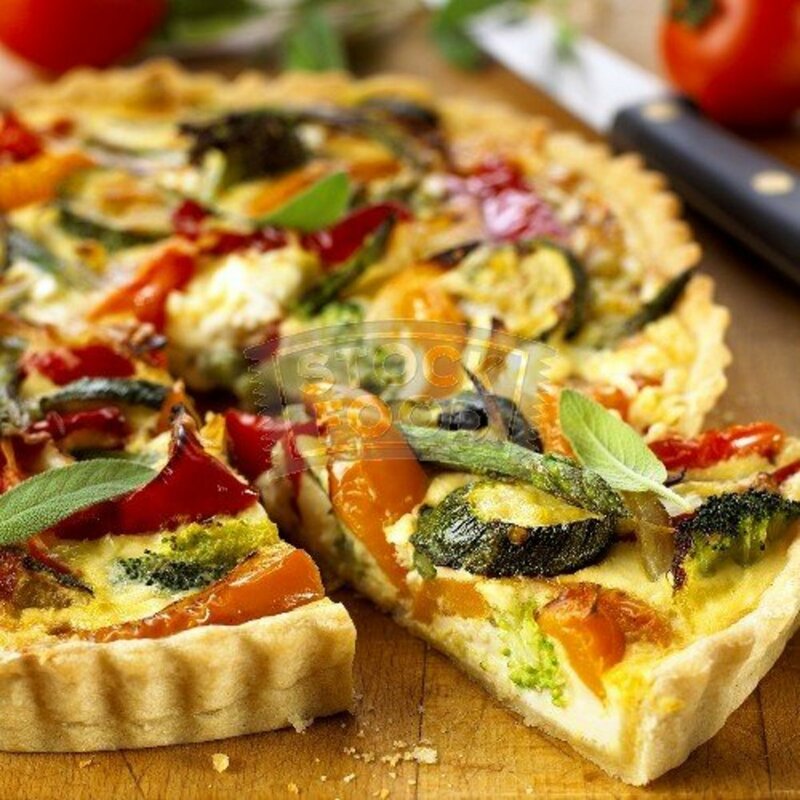 If you're a meat-eater expecting vegetarian guests, try these - you'll enjoy them! 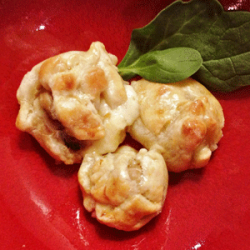 Although these pastry parcels might seem a little complex when you read the recipe, they are extremely easy to make. I cheat and use frozen pastry - that helps, of course! They can be assembled ahead of time and stored in the fridge - just pop them in the oven for about twenty minutes and they'll be ready to eat. This is all you'll need to serve two. It's easy to increase the amounts as required. One tip though - don't halve the ingredients if you're making this for one person because you'll wish you'd made more! Mushrooms. I used seven because that's how many I had. Three or four per person is fine, especially if you're serving salad. Zucchini. I used half a zucchini, again because that's all I had. You need one slice for each mushroom. Cheese, Regular sharp cheddar is fine, although I do intend to experiment with other cheeses. I used about two to three ounces. 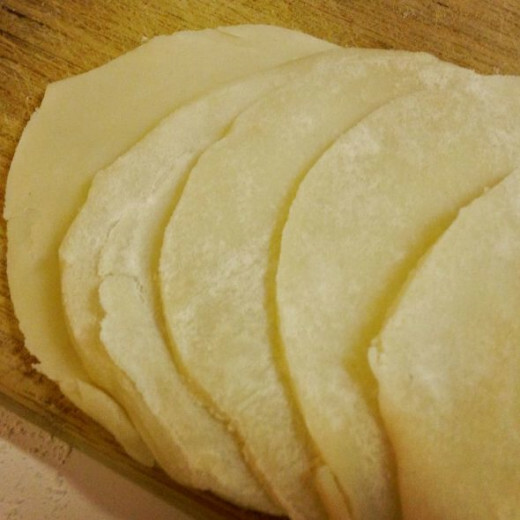 Ready-made pastry. Half a pack. Remove this from the freezer ahead of time. The brand I use needs about twenty minutes to defrost. Simply clean the mushrooms and slice off the stalks so that they are level with the main body of the mushrooms. The zucchini only needs to be sliced. Remember you need the same number of slices as you have mushrooms. Again, the cheese should be sliced. You'll need two pieces of cheese for every parcel. These should be cut into squares, roughly the same size as the mushrooms. 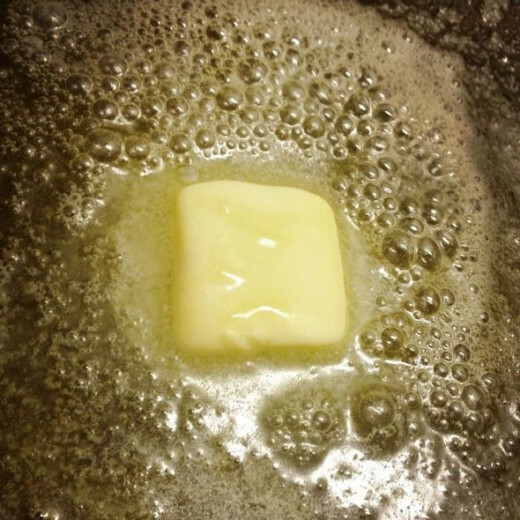 Heat the butter in a frying pan / skillet. 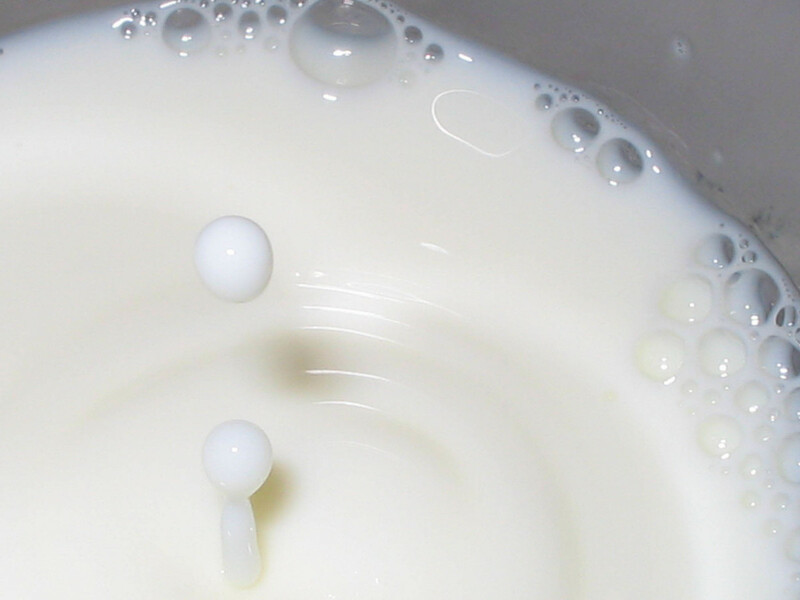 Soon it will start to bubble and get foamy. This is the time to start adding the vegetables. 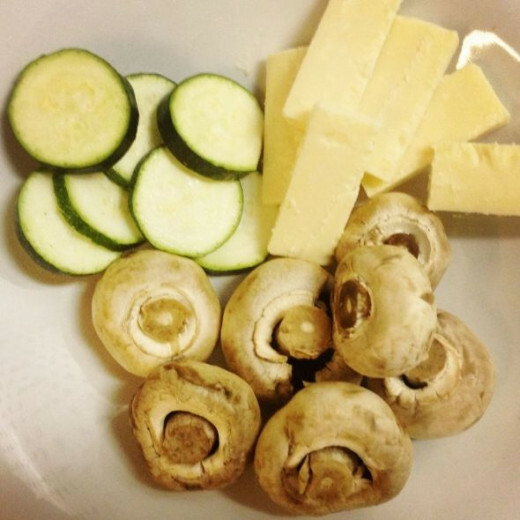 The mushrooms take longer to cook than the zucchini, so add these to the pan first. Turn the heat down a little - this depends on the vagaries of your own stovetop but I set the ring to medium. After a few minutes, flip the mushrooms so the other sides can cook too. Add the zucchini and cook until they too are done on both sides. This only takes a few minutes - they will be cooking further in the oven so the idea is to simply get them golden and to let the vegetables absorb the butter flavor. Soon you'll be baking your pastry parcels in the oven so it will need to be set to about 450° - check your brand of pastry and see what advice is given on the box regarding temperature. You'll be handling the vegetables so let them cool. Although I love the butter flavor, I like to remove excess fat so I put a paper towel in a sieve and decant the vegetables into it. I put another sheet of paper towel on the top and pat down. This absorbs any excess. 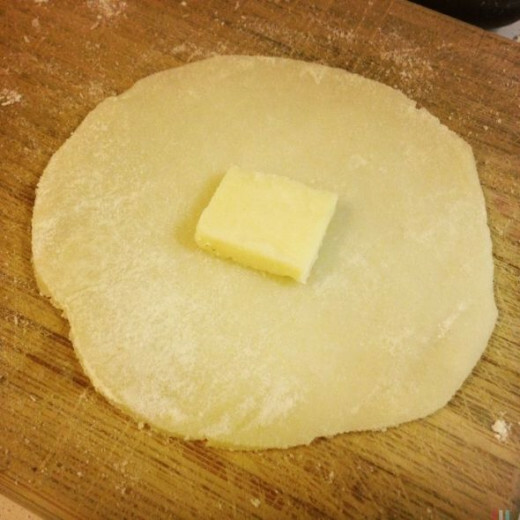 You can either divide the pastry and roll out enough for each one separately or roll the entire batch. I have to do it by dividing the pastry because of my tiny teeny kitchen and lack of countertop space. The idea is to have circles of pastry that are about 5" diameter. 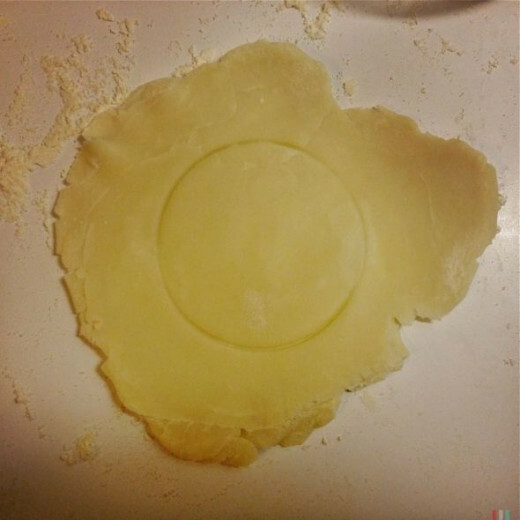 If you have a bowl or large glass, press it onto the pastry to form a ring, trim off the excess and you're good to go. I don't have anything the right size so I mark out a circle with a glass and then cut the pastry about an inch outside the ring. 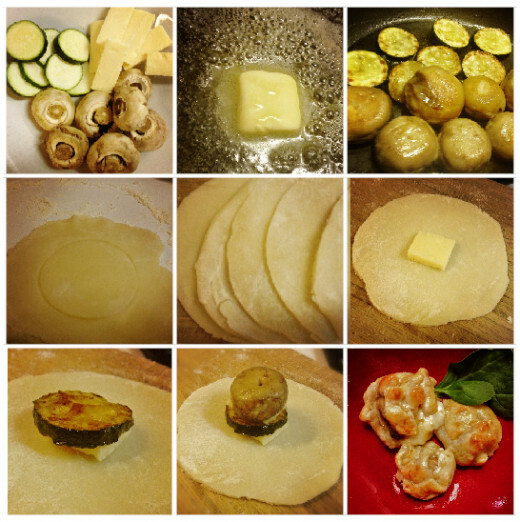 Perfect circles are not required! 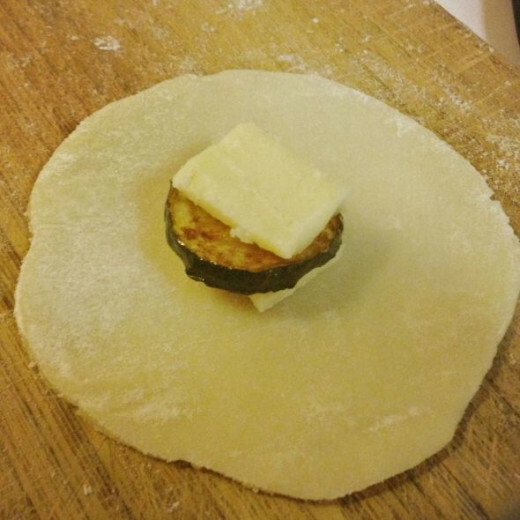 Add a square of cheese to each slice of pastry - right in the middle. Add a slice of cooked zucchini on top of the cheese. Finally add a mushroom, flat side down. Repeat this with all pastry slices. Here I could have done all sorts of fancy origami but we were hungry! 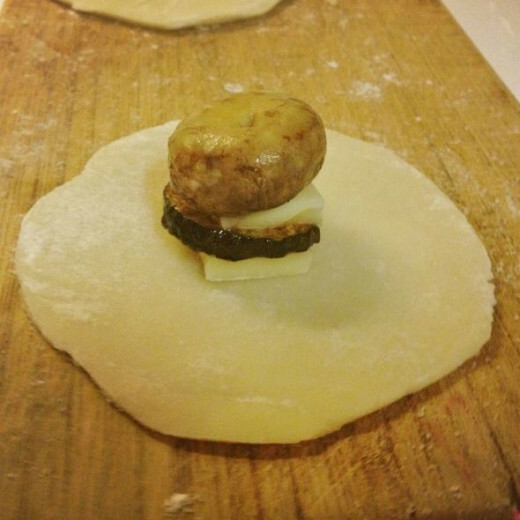 So I just folded the pastry around the cheese and vegetables and squeezed the top together. 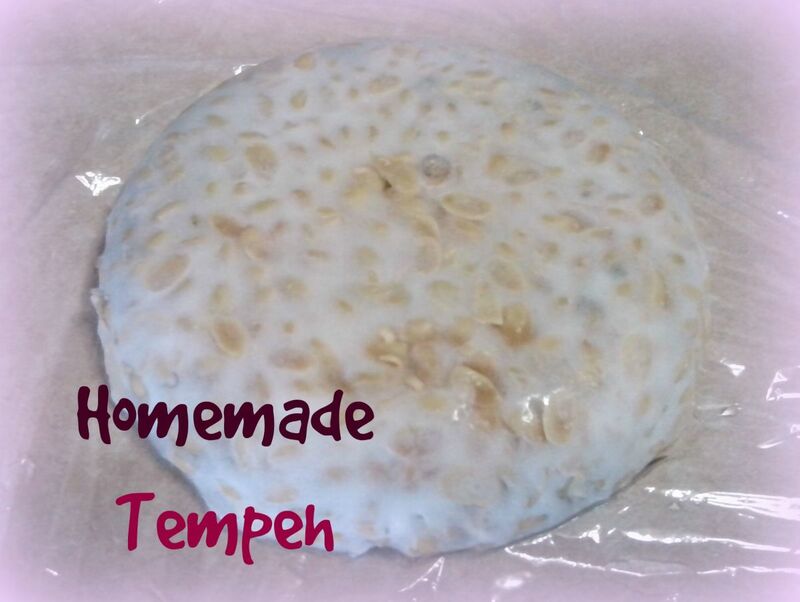 Place the parcels on a lightly floured baking dish or cookie sheet. 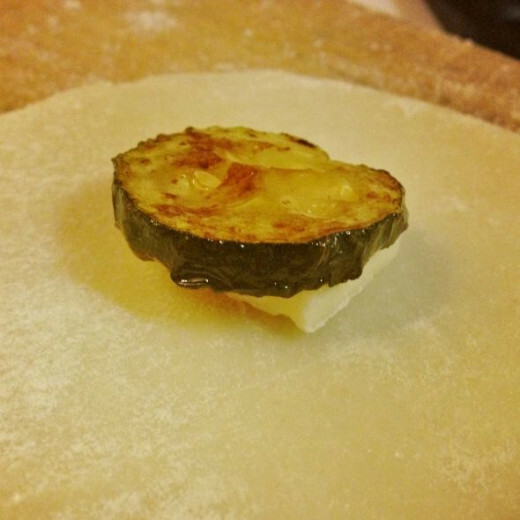 Lightly beat the egg and brush the pastry parcels with the egg mix. You won't need the entire egg for this but you can keep the remainder in the fridge for a further recipe of for scrambled eggs for the next day's breakfast. Depending on the brand of pastry you are using, these will take about 15 - 20 minutes in the oven. While these are cooking, make the salad accompaniment. 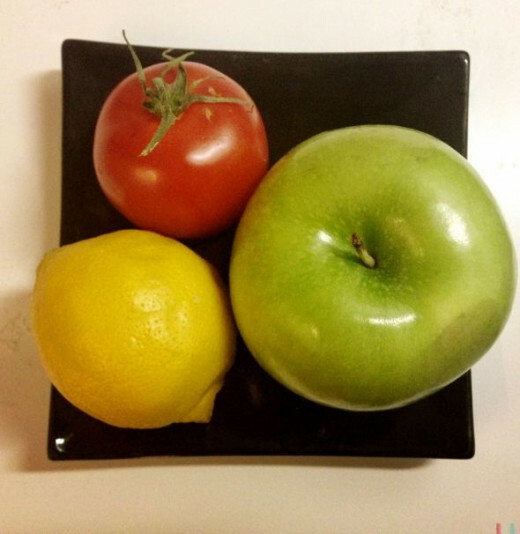 Slice the tomato and arrange on a plate. We like to have a lot of black pepper on tomatoes. When apples are cut, they discolor quickly. Lemon juice prevents that and by a happy coincidence (or maybe it was intended by Mother Nature) the lemon juice adds a lovely tang. The easiest way to do this is to chop the apple and add the pieces to a glass or mug, squeeze the lemon juice over the apple, put your hand over the top of the glass and shake. This coats every piece. 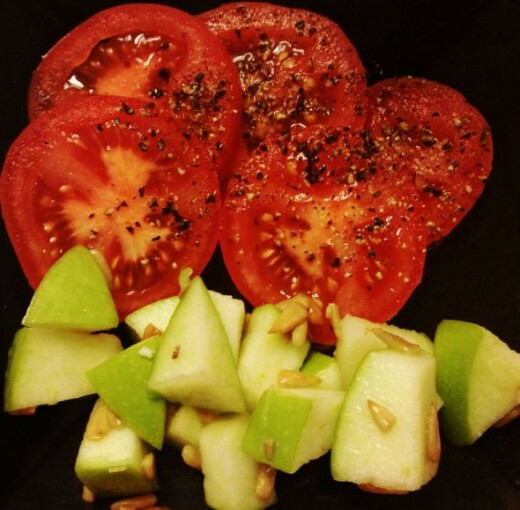 Just before serving, add the sunflower seeds to your glass of apple and give it a good shake again. Vegetarian recipes aren't just for people who don't eat meat or fish. Today everyone is urged to eat less meat for the sake of good health and the sake of the planet. No-one is suggesting that everyone should give up meat altogether and so many people are finding that meat-free meals are delicious and not a bit cranky! Plus, with the plethora of books you can buy online these days, you have thousands of lovely recipes at your fingertips. @Sylvestermouse - thanks so much for featuring it on Review This! 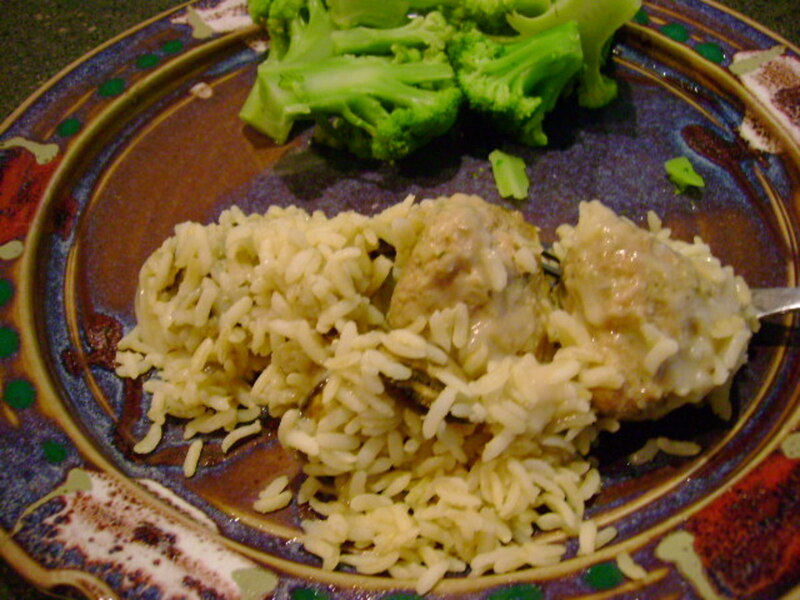 It's delicious and is wonderful as a meat free meal or an elegant appetizer. It also makes a great nibble to go with pre-dinner drinks or part of a buffet.It's very adaptable. I really like the sound of these. @ChefWilliam: What a great idea! Yes, they are perfect for a tasty lunch. There really look great. I always have more leftovers that people, so I can make these for my wife to take to work and share during lunch. They do that a lot where she works. Nice lens.